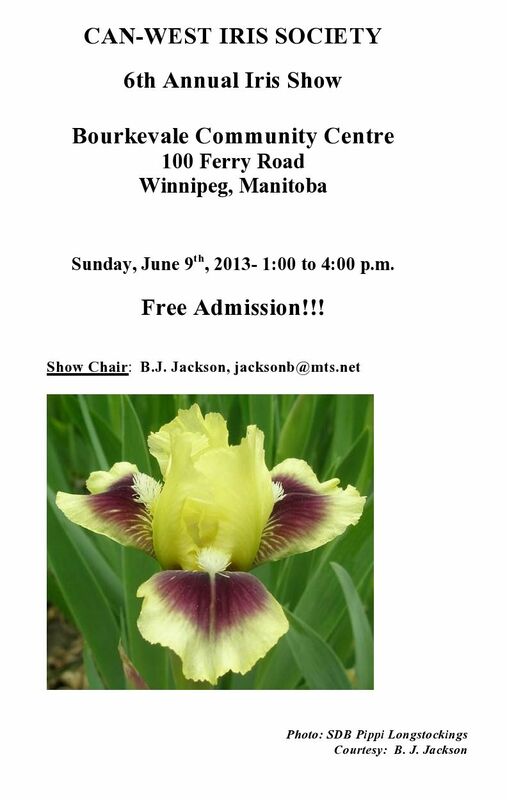 The schedule and show rules for the Can-West Iris Society 6th Annual Iris Show are now available. The show will be Sunday, June 9th, 1 – 4 p.m. at the Bourkevale Community Centre, 100 Ferry Road, Winnipeg, Manitoba with free admission. See the schedule and show details here.